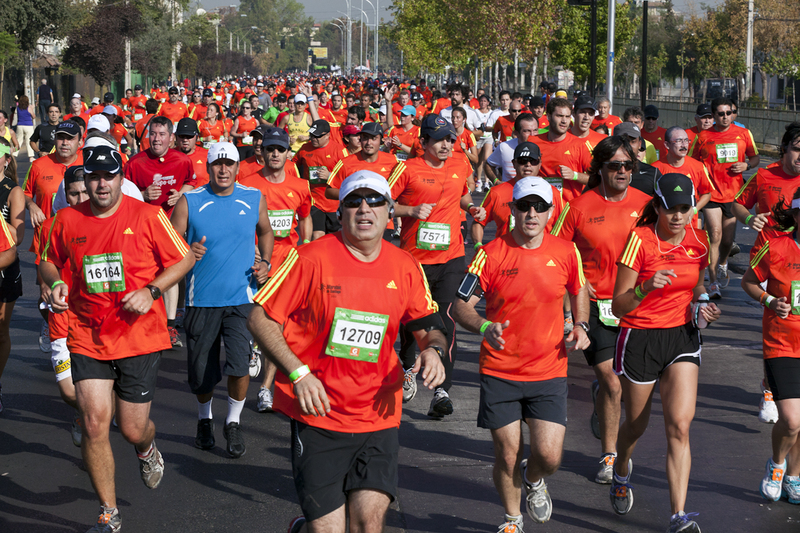 About 25,000 runners participated in the simultaneous 10K, 21K and 42K versions of the 2012 Santiago Marathon on April 1. This photo was taken two blocks from my house. Nice. I like the color. I wish I were there with you for the Fall weather.